← Hocus Pocus MagicBand and other related merchandise cancelled and destroyed? 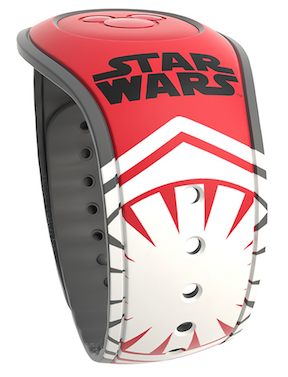 Three new Star Wars themed MagicBands have launched tonight at Force Friday II, and they are all related to the new live action movie Star Wars: The Last Jedi coming to theaters this December 15th, 2017. These were released at the World of Disney in Disney Springs at Walt Disney World at midnight. They are available on disneystore.com now and they will also be available in the Shop Disney Parks mobile app and website at some point. 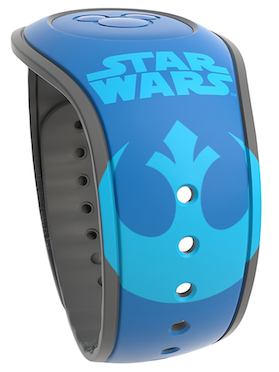 The first MagicBand is of an elder Luke Skywalker from the Star Wars: The Last Jedi on a blue base colored band. 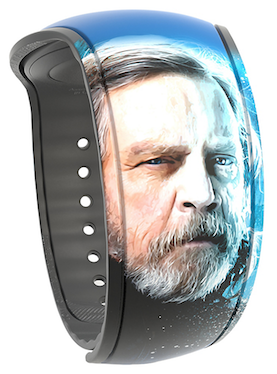 This is a Limited Release band and retails for $27.99. The barcode SKU is 400020400840. 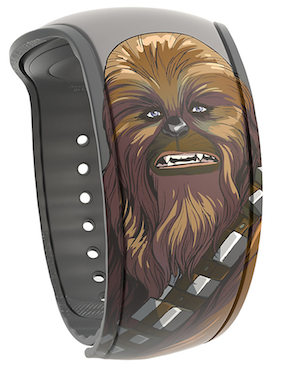 The second band features an Chewbacca in animated form on a gray base colored band. The backside has a new creature in the movie franchise called a Porg. This is also a Limited Release band and retails for $27.99. The barcode SKU is 400020404466. The third band is a red based colored live action Executioner band. The Executioner is a new character for the Star Wars franchise and he has a special new weapon. 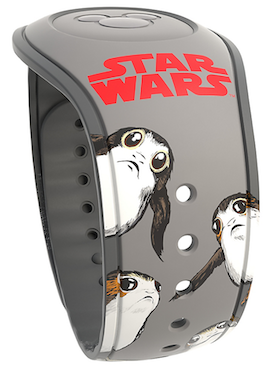 This is an Open Edition band and retails for $22.99. The barcode SKU is 400020400826. 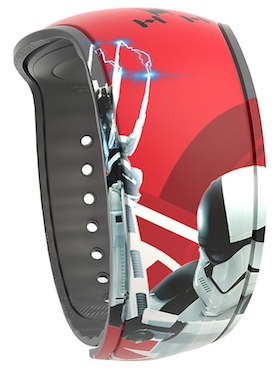 2 Responses to "Three new Star Wars MagicBands launch for Force Friday II"
My favorites are some of the Star Wars Weekends bands (Yoda, Jedi Mickey) and the Rogue One band. I also like the original Halloween Party band.